In 2013, Mexico’s National Human Rights Commission issued 52 recommendations in response to state violence during the Calderon administration. Of these, 39 were directed towards the army and navy. In addition to murders, the recommendations addressed death threats, excessive use of force, brutality during protests, enforced disappearances, torture, and arbitrary detention. 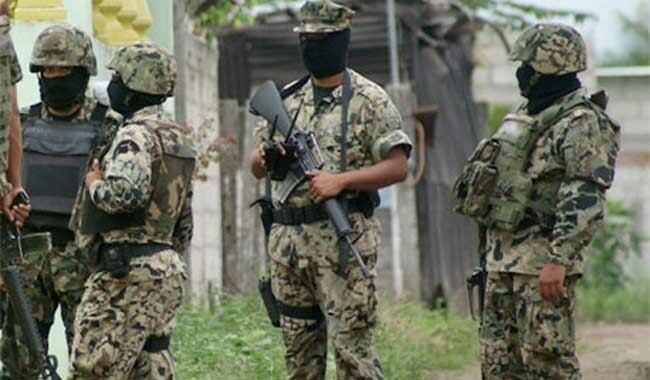 The recent extrajudicial execution of 22 people by the military in Tlatlaya, Mexico State, has further highlighted these abuses. Independent media brought the case to light, in which military personnel staged the crime scene and planted weapons on the bodies of the victims.